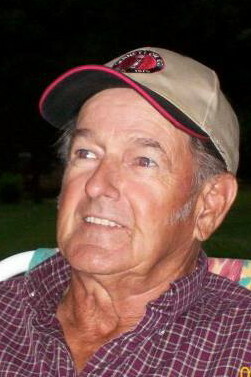 ENOREE- Paul Thomas Parkins, 80, of 368 Ball Park Road died Thursday, March 28, 2019 at his home. A native of Union County, he was the son of the late Jerry and Millie Manius Parkins. He was a retired construction worker. Surviving are his wife, Theresa Harkins Parkins of the home; one daughter, Vida Kenyon of Alva, Oklahoma; three sons, Wesley Sutton of Enoree, Bobby Green of Woodruff and Christopher Lawson of Enoree; one sister, Nan Lawson of Enoree; 14 grandchildren and 30 great-grandchildren. A Celebration of Life Service will be held Sunday, March 31, 2019 at 4:00 p.m. at the First Baptist Church of Enoree by Rev. Andy Moore. Visitation will be held from 2:30 p.m. to 3:45 p.m. prior to the service. In lieu of flowers memorial contributions may be made to the First Baptist Church of Enoree, 1150 Parker Road, Enoree, S.C. 29335.